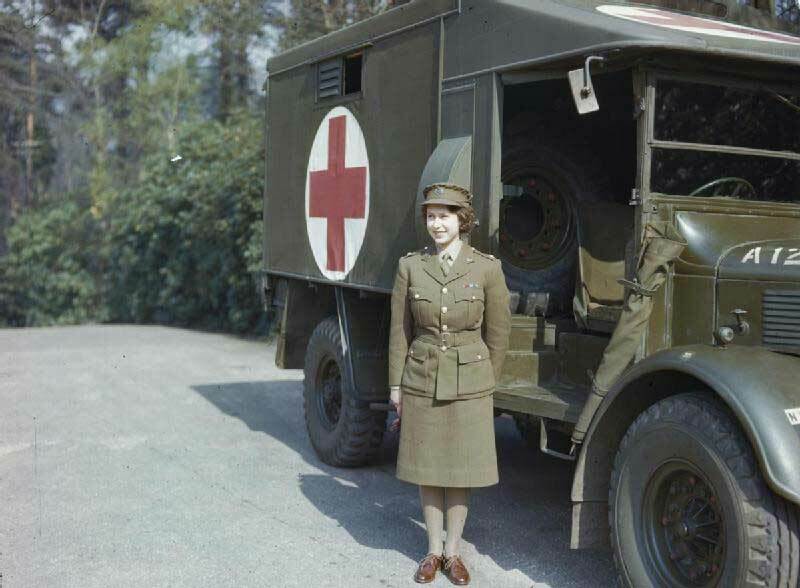 Google ‘The Queen’ and there will be only one image that appears on the front page. 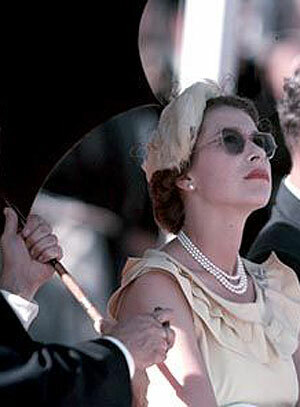 Queen Elizabeth 11 – the most photographed woman in history. There can be no doubt about that. Her outfits have also been the most talked about in the age of modern media. Odd that it is only now that her style sense is being fully appreciated. 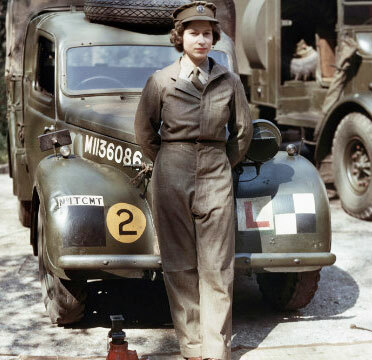 Even as a young woman in the Auxiliary Territorial Service during the war, she displayed a certain easy going style in her green fatigues. 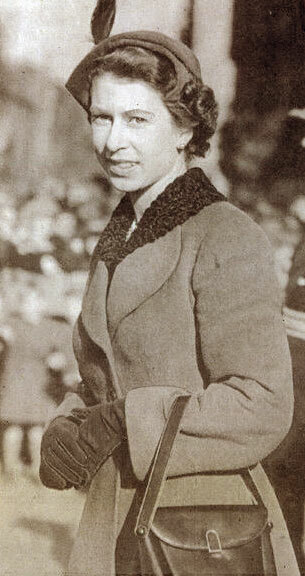 There is however a distinct difference to her style in the 1950’s and in later years. She has often been accused of been frumpy, and old hat, but in retrospect – that clearest of bifocals – her style comes across as truly individual and unique. Like any young woman in the late 1940s and early 1950s, she loved and frequently was seen in the full skirts and nipped waists of the French ‘new looks’ of Christian Dior and Cardin, but she has consistently championed the British designers over the years. Like Mother like daughter ! Norman Hartnell, was the only British designer in the 1920s to actually influence the new French art deco movement led by Vionnet and Chanel. 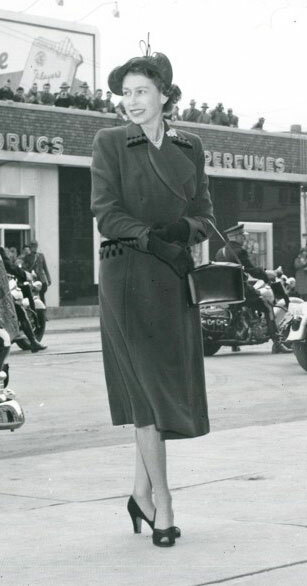 While he catered for the flapper look, his day outfits and evening gowns were much more opulent and particularly popular with the Duchess of York – the future Queen Elizabeth [ Queen Mother ] . 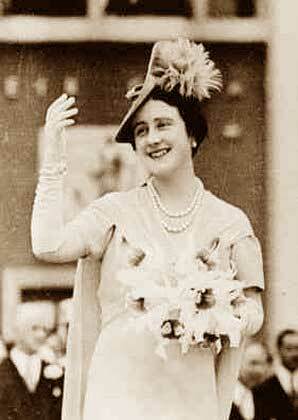 She very soon was the most fashionable Royal around. There’s no doubt that she would have instilled a real appreciation of fashion and style in both her daughters. 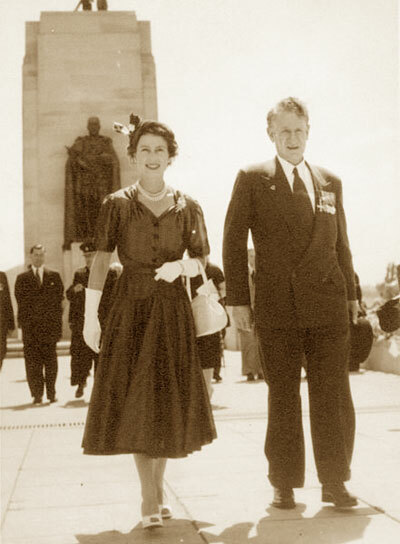 In 1947 he was ‘commanded’ to design the wedding dress of Princess Elizabeth to Prince Philip. 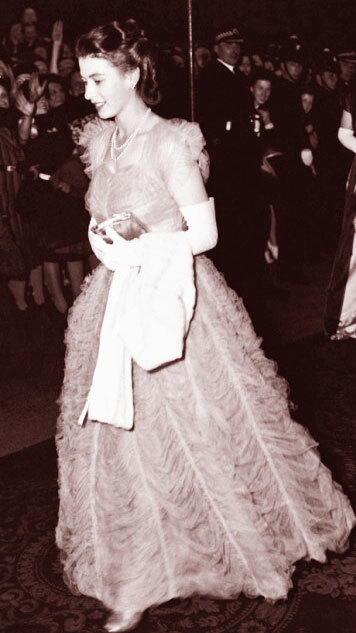 Created with a sweetheart neckline and a softly folding full skirt, embroidered with some 10,000 seed-pearls, the dress was understandably a hit. 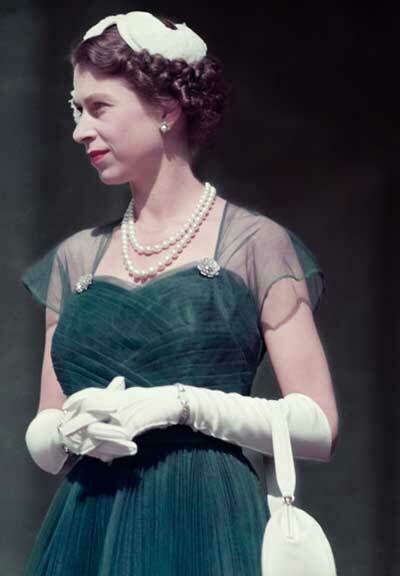 is undeniably beautiful and the Queens own youthful beauty matched the gown in equal measure. 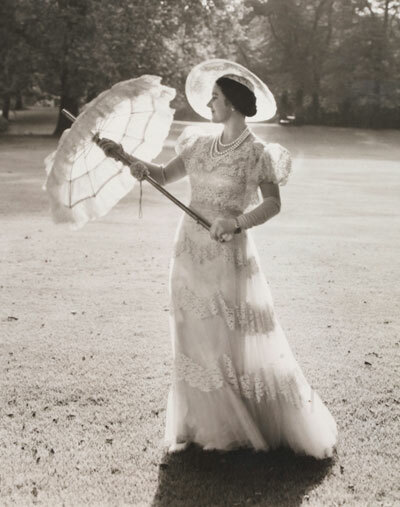 She stuck with Hartnell and later Hardy Amies for decades. Her world tour dresses and gowns, as a young woman, filled the scrap books of young women worldwide, to represent all that was glamorous. Full skirts and wasp waists were the order of the day, but designed to be just slightly ‘conservative’ to be in keeping with her regal nature. Her fashionable sister Princess Margaret on the other hand was able to be a bit more risque. 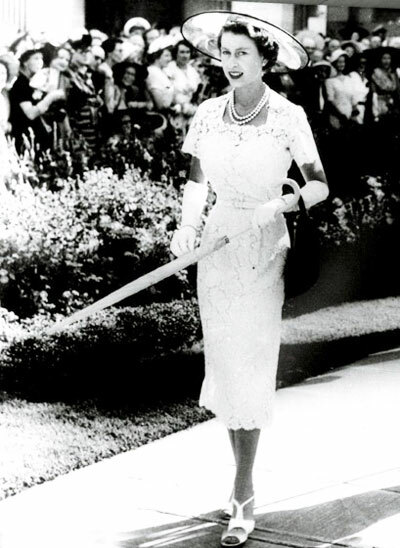 As Lizzie got older, it can be said she truly developed her own specific singular look, but it was her halycon days in the 1950’s that perhaps were her most glamorous.